Geoscience Research Institute | Is There Biological Evidence of Life's Recent Creation? During one of my frequent visits to the office of my high school headmaster, his individual tutelage yielded a life lesson that I’ve never forgotten. His exact words were, “You think you’re right!” Of course I thought I was right, wouldn’t anyone who thought they were wrong change their mind and then immediately think they are right? Now that I’m an adult biologist, I still think that I’m right. Inevitably that means I disagree with some other people’s opinions; it is the price I and they pay for being thinking human beings. I think I’m right when I believe that that astrologers can’t tell the future, that priests can’t create the actual body and blood of Christ during the Mass and that geologists can’t really know with certainty that life has existed on Earth for billions of years. When it comes to the age of life, no human was there to actually see it created, so we have to rely on our interpretation of the evidence. Interestingly, there is one eyewitness account, written in stone by the witness Himself. The 4th Commandment in Exodus 20 and 31 records what God wrote with his own finger: “ for in six days the Lord made the heavens and the earth, and on the seventh day He rested and was refreshed” (Exodus 31:17 NKJV). That may not tell us the exact date of the creation, but it does clear up any reasonable question about how long it took, at least according to God. There is evidence in the Bible of when the creation occurred. It involves adding up the age at which fathers had children and figuring out a reasonable starting point to count back from. In addition, there are things like the genealogy of Jesus stretching all the way back to Adam (Luke 3:23-38) which tie into the more ancient genealogies. Scholars have figured out lots of different ways of adding the numbers, but those who stick with things like logic and data find it difficult to get a biblical creation date more than a few thousand years ago. Do I as a biologist think that the scientific data point in the same direction? The simple answer is yes. I know, this is tantamount to heresy among those who believe they have it right that life is billions of years old; but when I look at the most informative data most carefully, I see that the scientific evidence, at least in my field, is quite consistent with the biblical record. If you want to know how old something is, first of all you should look at it. The right place to start when investigating when life came into existence, is by looking at living things. So, let’s look at 5 lines of evidence from living (and dead) things to see what they suggest about how old life is. Let’s start with dinosaurs, because everyone knows they are cool and that they lived tens of millions of years ago… except for me and some others who are looking at the evidence they have left behind. 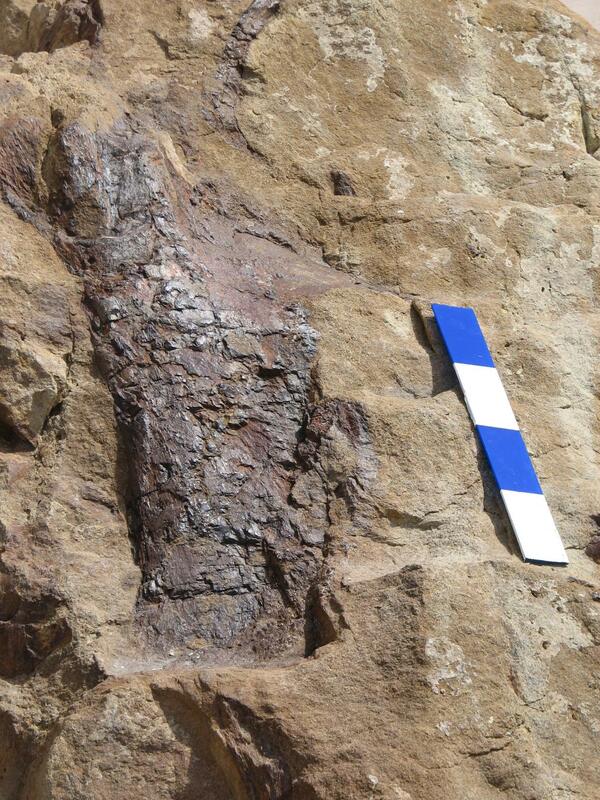 Dinosaur bones embedded in sediment; scale is 40 cm long. Dinosaur Ridge, CO, USA. Dr. Mary Schweitzer did something that anyone who knew about fossil dinosaurs wouldn’t have done. She took a fragment of dinosaur bone and put it into a solution that dissolved away the minerals. This is similar in principle to the classic experiment of putting a chicken bone in vinegar. When the mineral component of the bone is dissolved in the vinegar, the protein component is left behind and you can tie the bone in a knot without breaking it. The problem with what Dr. Schweitzer did is that everyone knows that there could be no protein component left in dinosaur bones because proteins don’t last for tens of millions of years. Proteins, DNA and other big biological molecules are broken by water, oxygen and other chemicals. In addition, they are broken by radiation and, while there isn’t much radiation over the course of a day, over the course of millions of years it really adds up. At least in theory, there should be no protein in dinosaur bones if they are tens of millions of years old. Of course, theory isn’t the same as observation, but when we study modern bones, their proteins break down. Presumably proteins in bones broke down in the past as well. Knowing that there should not be proteins in dinosaur bones, you can hardly imagine the shock when Dr. Schweitzer reported that there was abundant protein in her dinosaur bone samples. The most reasonable explanation would seem to be that the bones are not millions of years old. However, some scientists, including Dr. Schweitzer, have suggested that maybe proteins are preserved in the presence of iron, or when they are associated with the mineral part of bone material. These explanations seem quite optimistic. In addition, it isn’t just protein that has been found associated with fossils, other biological molecules have also been found and I, along with some colleagues, have accumulated hundreds of papers about this from the peer reviewed scientific literature. At least from my perspective as a biologist, suggesting that proteins and other biological molecules have lasted for tens of millions of years is equivalent to claiming a miracle. It is surprising enough that they could have lasted thousands of years buried in the ground. Every now and then, the chemical letters in DNA molecules are changed. These changes are called mutations and they may be caused by chemical damage to DNA, viral infections, radiation or errors in copying DNA. Mutations are a problem, because DNA contains the recipes for how, when and where to make the proteins in our bodies. Randomly change the recipes and things can go very wrong. The good thing is that the information encoded in our DNA is remarkably robust, so most of the time, mutations don’t kill us, at least immediately. When a mutation is really bad, generally the person with it dies, so it isn’t passed on to their children. But what about those mutations that are just a little bit negative, but don’t kill you? These are called “near neutral” mutations and, while they don’t immediately kill people, they are not weeded out by natural selection and so they accumulate in human’s DNA. There are different estimates of how fast mutations are accumulating, but commonly they run above 100 mutations per person per generation. It is good thing that most mutations are near neutral, but they are still thought to have a small cumulative negative effect. At our current mutation rate, eventually, the recipes for the vital proteins in our bodies will inevitably be corrupted to the point that we can’t survive. Humans are thought to be in something called “error catastrophe,” which means that we are mutating so fast that the human race can’t last forever. The same is probably true for other organisms. So, if we can’t last forever, how long can we last? Time will tell, but millions of years seems way too optimistic. It thus seems depressingly obvious that humans and other organisms probably haven’t been around for millions of years and are unlikely to last too many thousands of years longer. Even unbelievers should be hoping that Jesus comes soon and does a new creation; otherwise, we have little hope for the future. A London plane tree, thought to have originated from hybridization between Platanus occidentalis and Platanus orientalis. Kew Gardens, England. A gardener working in the Oxford Botanical Gardens around 1670 AD, noticed some tree saplings coming up that he had never seen before. It turned out that these new trees were the result of hybridization between American sycamore trees, Platanus occidentalis, and oriental plane trees, Platanus orientalis, whose native range extends from the Balkans to Iran. This may not seem impressive. After all, these are trees in the same genus and they don’t appear to be very different, but these species normally grow more than 5,000 km apart. The continents they are native to are supposed to have separated something more than 50 million years ago. So, these are species that should have been on their own different paths of evolution for tens of million years. That is the kind of timespan that Darwinists typically invoke to explain the evolution of humans, chimpanzees, old world and new world monkeys from some kind of primitive monkey. The idea that two organisms could be separated by thousands of kilometers and tens of millions of years, yet still be capable of interbreeding, seems incredible, and it seems even more incredible from a Darwinian perspective than from a Biblical perspective. There are alternative and more reasonable explanations. The most obvious is that these two species are not separated by tens of millions of years. This may be because life isn’t millions of years old, or it may be that what became the American sycamore was transported in the relatively recent past from the Middle East to what is now the United States. Or maybe the American Sycamore was transported to the Middle East. In either case, there is no 50 million years. Explanations to maintain the idea of millions of years get progressively more heroic as more and more unexpected hybridizations are discovered, and these are not difficult to find. For example, male jaguars from the New World will mate with female lions from the Old World to produce heathy jaglions. The cells of all organisms are teeming with a wide variety of nanomachines performing all the functions necessary to keep cells alive. Do these molecular machines, which operate with incredible speed and efficiency, look as if they evolved in different kind of organisms over hundreds of millions or billions of years? Imagine driving a Ford Focus with a damaged headlamp assembly. It would be surprising to find out that the headlamp could be replaced with one from the previous Focus model and preposterous to believe it could be replaced with the headlamp from a Model-T Ford. Yet, interchangeably like this is exactly what we see in cells. A good example is a molecular machine called Signal Recognition Particle (SRP), which plays a vital role in production of the proteins found in membranes. SRP is made up of a stretch of RNA—a molecule similar to DNA—and several proteins. It turns out that the protein and RNA components of SRP are interchangeable between an extraordinary range of organisms. Human SRP proteins form functional SRPs when combined with the RNA component of Xenopus laevis (frogs) or Drosophila (flies). Replacing one major component of Canis familiaris (dog) SRPs with the single large SRP protein from a bacterium called Escherichia coli, makes a SRP functional in all respects except for binding to the endoplasmic reticulum receptor. The corresponding dog SRP protein can bind to the RNA portion of E. coli SRP. Data like these are well explained by a model in which a designer uses standard parts to make different machines and these machines have not drifted apart over time. The idea that modern dogs and bacteria separated from a common ancestor a billion or more years ago and went through the extraordinary changes necessary to produce the organisms we observe today, yet retain interchangeable molecular parts seems incredible. By comparison, recent creation of life seems quite reasonable. Both require miracles, but maintaining interchangeable parts over a billion years seems a very long and complex miracle compared to a recent creation. Radiometric dating is commonly seen as one of the strongest argument that life is millions or billions of years old. In this technique, the concentrations of unstable atomic isotopes and their daughter products produced upon breaking down should indicate the age of a sample. Because these isotopes are thought to break down at a constant rate, a sample with very little of the unstable isotope and an abundance of the daughter products should be old. When measuring the age of biological things, the most obvious isotope to use is Carbon-14. This is very similar to the regular carbon we find in diamonds, graphite and the chemicals that make up living things, the only difference being that it has two extra neutrons in its nucleus. Carbon-14 breaks down fairly slowly so that half of the Carbon-14 in a sample will be gone after about 5,700 years. After another 5,700 years, half of the remaining Carbon-14 will be gone and so on for every passing 5,700 years. After about 20 5,700 year increments (114,000 years) only one millionth of the original Carbon-14 will be left in the sample. As there is very little Carbon-14 in the first place, by the time a sample is over 100,000 years old, there should—at least theoretically—be too little Carbon-14 to measure. This is where things get interesting. It turns out that Carbon-14 has been measured in coal and other biological samples that are supposed to be tens to hundreds of millions of years old. 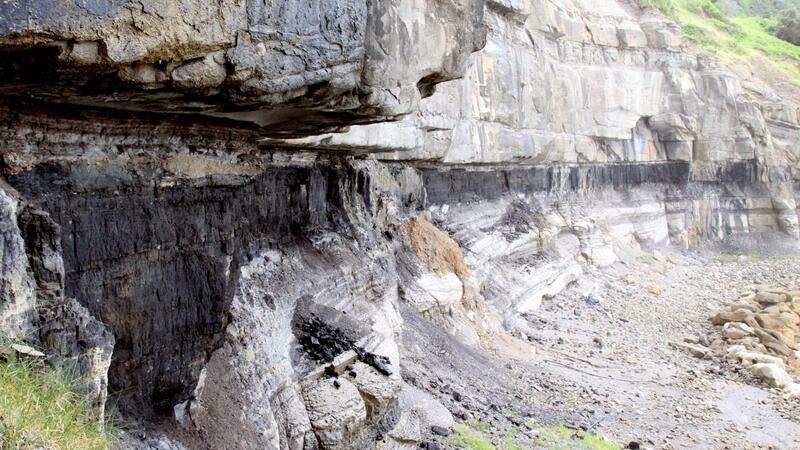 Most reasonably, these data mean that the plants used to form the coal lived within the past 100,000 years. Example of a coal bed, from the Bulli Coal Measures, New South Wales, Australia. What does a Darwinist who believes life is millions or billions of years old to do with these data? Generally, the response is that the Carbon-14 detected is a consequence of contamination, or that it was somehow generated within the samples. There are responses that could be made to these responses, but they get progressively more technical. If nothing else, this situation illustrates that it is common for people to reject radiometric dates, like Carbon-14 dates, when they do not agree with their prior ideas about the way things must be. This is not supposed to be an exhaustive list of all the possible scientific evidence consistent with life’s recent creation. No doubt, there are many other evidences which could be added, but I find these data to be informative. When we evaluate scientific theories, it is essential to remember that empirical data are the final word. Time prevents empirical observation of life’s origin, which means we can only interpret the current data. It is important to keep in mind that the further interpretation is from data, the greater the number of necessary assumptions, the greater the number of logical steps, the less certain the conclusion. In my experience, evidence interpreted within a biblical framework requires an equal number, or fewer, assumptions and logical steps than interpretations requiring long expanses of Darwinian time. Everyone who wishes to know what is true will have to figure this out to some degree for themselves. In doing this, independent thinking is invaluable. Of course you will think that you are right most of the time, but one should never be so sure of that that they are unwilling to consider the most informative data carefully and, perhaps, change their mind. I know that I have had to do that multiple times and I think I was right to do so. Living life as a Christian scientist doesn’t mean starting out with all the right answers, it means a humble quest for knowledge in a world that is beautiful, full of wonder, constantly surprising and brimming with mysteries. We may not have all the answers all the time, but it is reassuring to see how often reasonable interpretation of the data we observe is consistent with the record of history in God’s Word. Mary Schweitzer’s first paper on this topic was: Schweitzer MH, Wittmeyer JL, Horner JR, Toporski JK. 2005. Soft-Tissue Vessels and Cellular Preservation in Tyrannosaurus rex. Science 307:1952-1955. Further examples along the same lines include: Schweitzer MH, Wittmeyer JL, John R. Horner JR. 2005. Gender-Specific Reproductive Tissue in Ratites and Tyrannosaurus rex. Science 308:1456-1459; Schweitzer MH, Zheng W, Cleland TP, and Bern M. 2012. Molecular analysis of dinosaur osteocytes support the presence of endogenous molecules. Bone, 2012; DOI. 10.1016/j.bone.2012.10.010; Analysis of dinosaur bone cells confirms ancient protein preservation, Science Daily, October 23, 2012; Hofreiter M, Collins M, and Stewart JR. Ancient biomolecules in Quaternary palaeoecology. Quaternary Science Reviews, 33, 6 February 2012, p. 1-13. An excellent discussion of this evidence can be found in: Sanford JC. 2014. Genetic Entropy 4th Ed. FMS Publications. 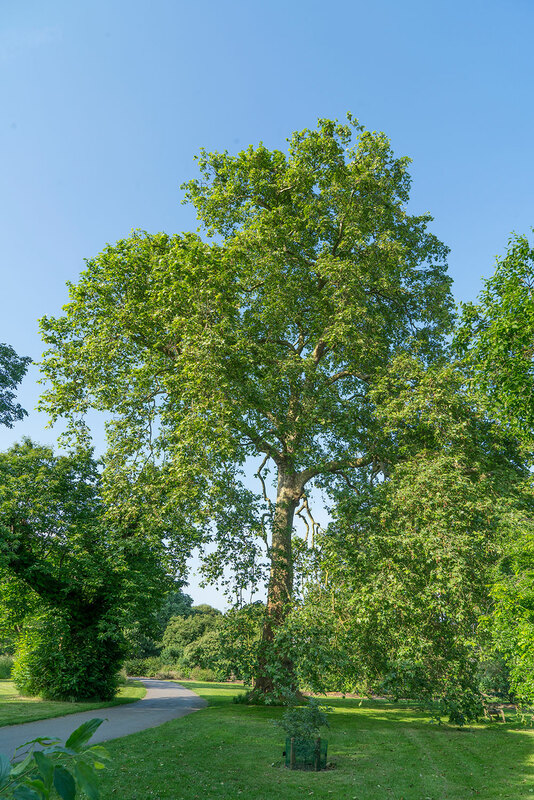 While other theories of the origin of London plane trees exist, there is consensus that this tree represents a hybrid between the American sycamore and Oriental plane tree. The source most reasonably referenced on the Oxford origin is: Flood AH, Flood MG. 1919. The History of the London Plane, Platanus Acerifolia, with Notes on the Genus Platanus. Proceedings of the Royal Irish Academy. Section B: Biological, Geological, and Chemical Science 35:9-28. Estimations of the relationships between and times of separation can be found in: Feng Y, Oh S-H, Manos PS, Zomlefer WB. 2005. Phylogeny and Historical Biogeography of the Genus Platanus as Inferred From Nuclear and Chloroplast DNA. Systematic Botany 30(4):786-799. Many examples of this phenomenon could be referenced, but the specific Signal Recognition Particle examples can be found at: Walter P, Blobel G. 1983. Disassembly and reconstitution of signal recognition particle. Cell 34:525-533; Bernstein HD, Zopf D, Freymann DM, Walter P. 1993. Functional substitution of the signal recognition particle 54-kDa subunit by its Escherichia coli homolog. Proceedings of the National Academy of Sciences USA. 90:5229-5233; Romisch K, Webb J, Lingelbach K, Gausepohl H, Dobberstein B. The 54-kD protein of signal recognition particle contains a methionine-rich RNA binding domain. Journal of Cell Biology 111:1793-1802; Zopf D, Bernstein HD, Johnson AE, Walter P. 1990. The methionine-rich domain of the 54 kd protein subunit of the signal recognition particle contains an RNA binding site and can be crosslinked to a signal sequence. EMBO Journal 9(13):4511-4517. This is now a widely recognized phenomenon. A good reference is: Baumgardner JR. 2005. Carbon-14 Evidence for a Recent Global Flood and a Young Earth. Chapter 8 in: RATE II: Radioisotopes and the Age of The Earth: Results of a Young-Earth Creationist Research Initiative, Volume II, L. Vardiman et al., eds. Institute for Creation Research and the Creation Research Society: San Diego, CA. Recent research suggests dinosaurs were not as heavy as previously thought. Most Christians, however, believe that dinosaurs were destroyed during the flood. Others believe that this particular group of animals had been altered so drastically by sin that they were not allowed on the ark and so their kind was totally lost. Is it possible to study the dinosaurs (and other fossils) from a perspective consistent with the biblical account of creation? There are only three known groups of volant vertebrates. Two are extant: birds and bats. The third group is completely extinct and known only from fossils: pterosaurs. Often referred to colloquially as “pterodactyls”, pterosaurs are a diverse group of reptiles totally foreign to our modern minds, yet in some ways they are incredibly familiar, resembling the dragons of folklore. The aim of this article is to use the example of Homo naledi to illustrate the distinction between data and interpretations, and to discuss some of the questions a biblical creationist might have in relation to this new discovery. Few things in science evoke more interest in children than dinosaurs. Books, films, toys, etc. continue to fuel kids’ interest in the very alien world of our past, yet few Christians know how to respond to their children’s curiosity in a way that is both biblically sound and scientifically accurate. Although a full discussion of the fossils in Mesozoic rocks would require several volumes, a brief synopsis is presented here along with some creationist reflections for those who are interested – parents or otherwise. How old is the Earth? What is the basis of radiometric dating? What is the meaning of “half-life?” How can creationists explain radiometric dates of many millions of years? What unsolved questions about the age of the Earth are of greatest interest?